Back in 2015, Beth and I decided to do something fun. We decided that, for the summer we would challenge each other to read something outside our comfort zones by each of us assigning the other four books to be read before Labor Day. The books should somehow be thematically linked, but that theme could be anything. Beth assigned me four books by the same author. I assigned Beth four books that had to do, somewhat loosely, with travel. We had a lot of fun that summer, and even did some extra credit work in the form of creating sundaes based on book characters. And, then, inexplicably, we took two summers off from this fun tradition. Well, ladles and jelly spoons, we are bringing it back. This year we are once again assigning each other summer reading to be done by Labor Day! Our books will be assigned next week and we will be off to work! Stacks is taking a Summer Vacation! Stacks is taking a little holiday so don’t expect many updates in the coming weeks. Keep reading and enjoy your summer everybody! Well, folks, It’s Labor Day and summer is over. This has been a really fun summer for us at StacksXLifeX. We challenged each other in June to do a Pop Culture Homework Assignment. We each assigned the other four books that were themed and we gave ourselves the summer to read them. (We, of course, could and did read other things, too!) My theme for Beth was travel. She read Wild by Cheryl Strayed. She then followed it up with Traveling Mercies, 13 Little Blue Envelopes (with the bonus extra credit: The Last Little Blue Envelope!) by Maureen Johnson, and A Walk in the Woods by Bill Bryson. 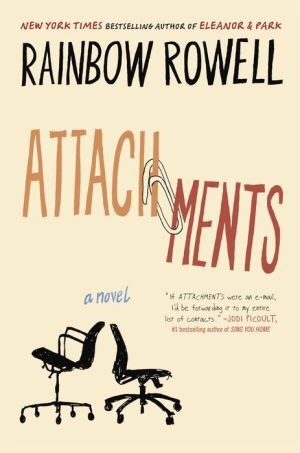 Beth assigned me The books of Rainbow Rowell. I’ve been hearing about some of these books for awhile now (in particular, Eleanor and Park) so I was very happy to dive into them. I also read Attachments, Fangirl, and Landline. Plus, we got some bonus posts because, serendipitously, Rainbow Rowell spoke at our parents’ local library while I was visiting home, Eleanor and Park inspired a playlist and Fangirl inspired a dessert. We enjoyed this challenge enormously. It has been so fun to read books outside of our normal fare and to discuss those books with each other and you. We hope that you have enjoyed the posts and this summer. School is back in session, the leaves will be changing soon and before we know it, everyone will be doing year-end reviews. So, tell us in the comments: What were your favorite books this summer?